Gujarat Forest Guard Previous Papers PDF is available here for Free Download. Download the Last Five Years Question papers for Gujarat Forest Gaurd Exams. Gujarat Forest Department has recently released the recruitment notification of Gujarat Forest Guard of 334 Vacancies on its Official website ojae.gujarat.gov.in. The Online Application Process starts from 14th November and the last date of the Application Process is 28th November 2018. Interested and eligible candidates who have applied for the recruitment can download the Forest Guard model question papers from this article. In this article, the Candidates can get the Complete information regarding Gujarat Forest Guard Exam s2018 like Exa, Dates, Syllabus and Exam pattern, Previous Question papers etc. Here we provide the Direct Links to Download the Question papers. Here we uploaded the Question papers along with Answers PDF. Candidates who have been searching for Gujarat Forest Guard Material can download from here. Candidates can get the Previous Question Papers with solutions. Click on the below following links to download the Model Question papers PDF with Answers. There is no need to pay for the Download and the Candidates can get the Model papers for Free of cost. Download last Five years question papers for Gujarat forest Guard Exam. 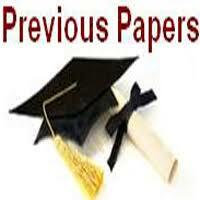 Here in this page, the Previous papers are available in PDF format which makes the download easy for the candidates. So all the candidates are requested to download the Model question papers and prepare well for the examination. Here is a good news for the candidates that we brought you the Forest Guard exam Material PDF here. The Material gives the Complete information regarding Gujarat Forest Gaurd Examination papers.